Moita Flores Interview on Sic (3'42''):The new sketch released by the McCann "is just another spin, a make-up to keep the case alive and reinforce the innocence of the parents", criminologist Moita Flores told today to a Portuguese news channel, SIC. 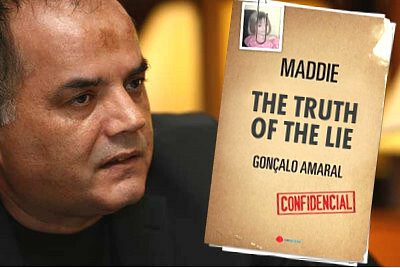 "It is manipulation and propaganda, from the (McCann) group, which has done the same before, to innocent people", he said. Questioned about similarities between the cases of Mari Luz and Madeleine, Moita Flores said that "the only thing similar was the fact that both children vanished." 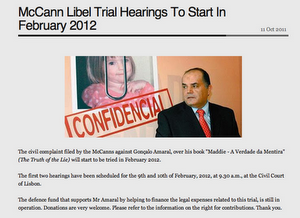 Among many differences, he pointed to the fact that "Mari Luz parents never abandoned her, as the McCann did with their children."